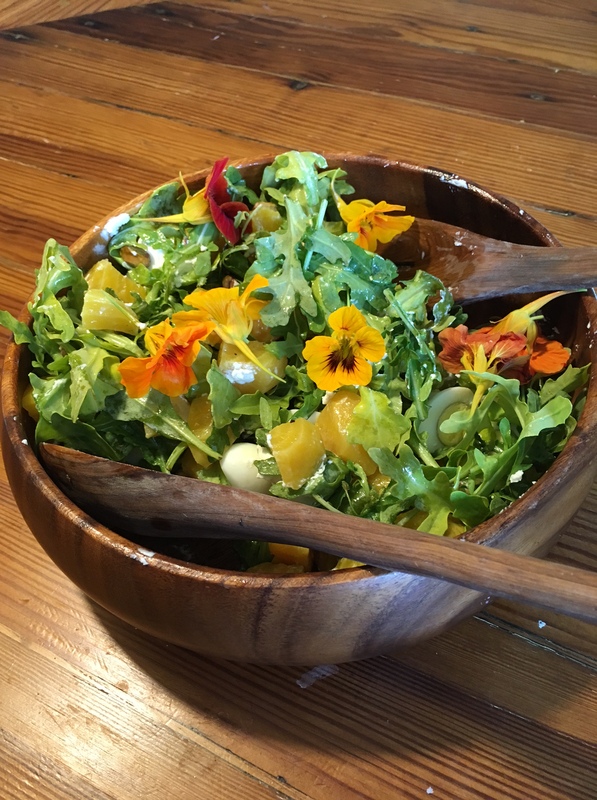 Nasturtiums are edible and add summer color to this flavorful salad! Divide baby spinach between four salad plates. Cut cooked quail eggs in half lengthwise and arrange on baby spinach. Peel golden beets, cut into 1/2 inch cubes and boil over medium heat until they are tender and can be easily pierced with a fork. Drain. Arrange hot beets on baby spinach. Garnish with goat cheese and pistachios. Dress with olive oil and balsamic vinegar. Serves 4. 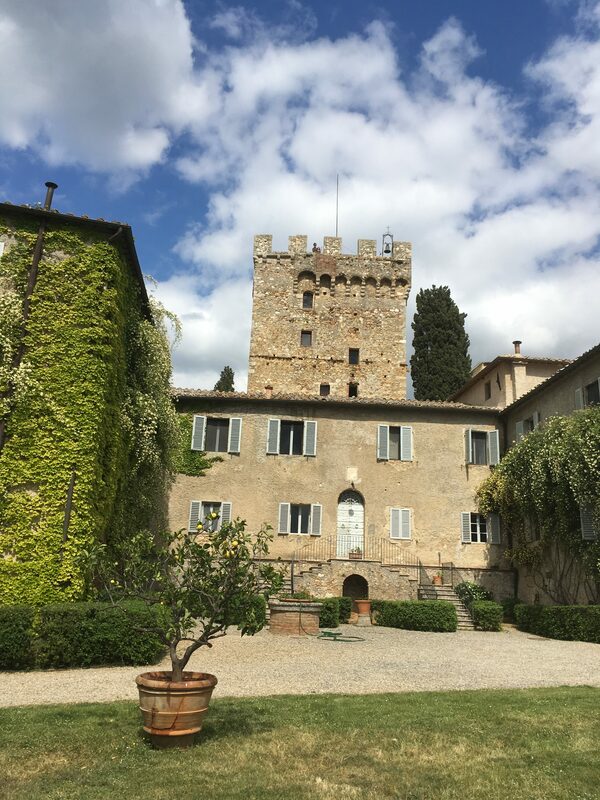 In mid April, I traveled with my daughter, Gretchen to Castello di Spannocchia (www.spannochia.com ) – an educational center based on an organic farm in Tuscany, 1,100 acres of forests, pastures, and crops of which 900 acres are harvested for forest products; 130 acres are cultivated for grains, legumes, and animal pasture; and 15 acres are dedicated to grapes, olives, and fruit. 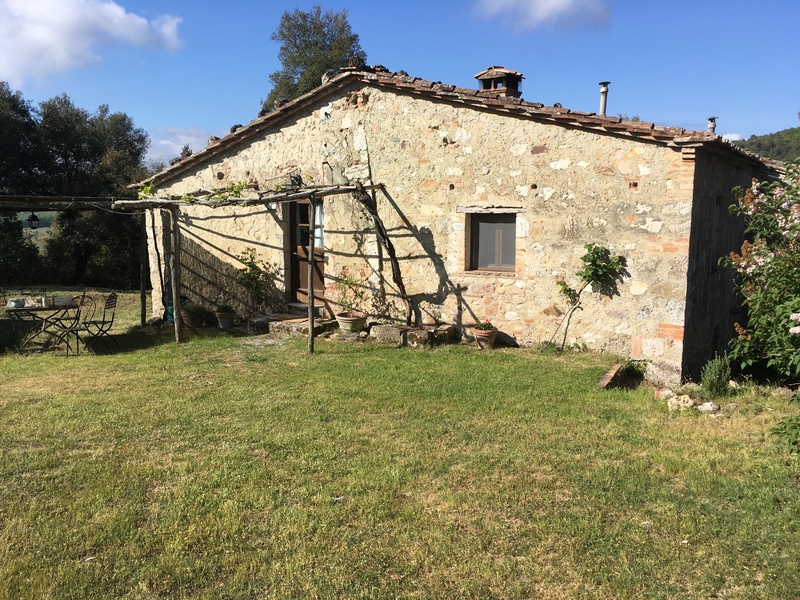 In addition to maintaining 800 olive trees and a large vegetable garden, Spannocchia raises local heritage breeds of farm animals and produces regionally-recognized salumi (salt cured pork) products. We were there with 20 others to attend a two-week oil painting workshop led by Stan Mohler (www.stanmoeller.com), our favorite local Seacoast artist. Most of the participants stayed in the Villa, but because Gretchen’s partner Daniel and her five-year old daughter Avery were accompanying us, we opted to rent one of the rustic farmhouses on the property. 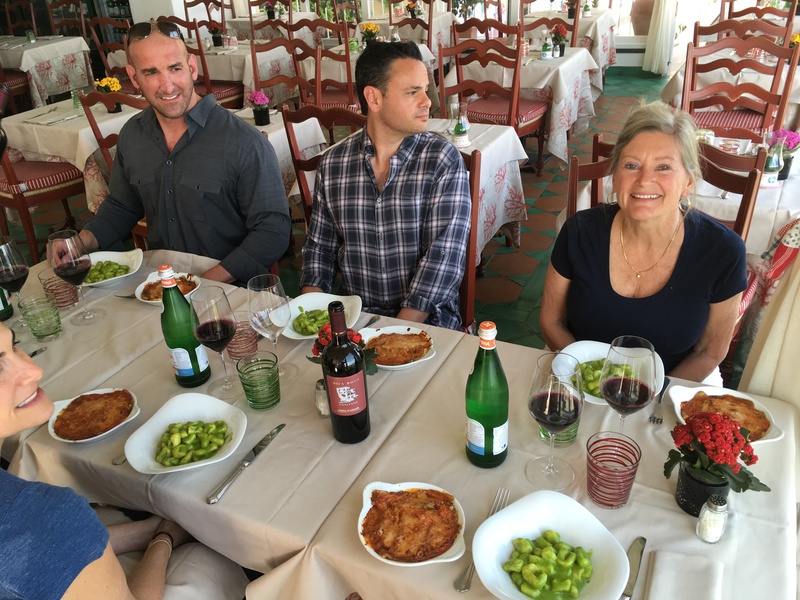 We prefaced our workshop by spending three days in Rome to explore Italian history, culture and cuisine. Rome was very crowded and although it was early in the season, there were a lot of tourists and groups of school children everywhere. Notable sights we saw were the Roman Forum, where Caesar and other Roman diplomats conducted business and lived, the Pantheon, actually a place of worship but also an architectural marvel with its unsupported domed ceiling, the Sistine Chapel at the Vatican and the Coliseum, where the gladiators fought with each other and with animals (apparently it had sawdust on the floor to absorb the blood from these battles). When we left Rome, we rented a car and drove to Spannochia where we spent the next two weeks receiving instructions in painting techniques from Stan before spending the day outside in front of our easels attempting to capture the magic of an Italian landscape with a brush and a palette of colors. I was by far the least experienced artist there, but it was inspiring none the less. Daniel watched Avery during the day while Gretchen and I painted. They visited the donkeys, pigs, and chickens, shopped for groceries, took walks and naps. We returned to the farmhouse each day to a fabulous meal that Daniel had cooked! At the conclusion of our workshop, Gretchen, Daniel and Avery headed to Florence and then to the Italian Rivera to explore. I flew down to Naples to meet Craig just as his flight was arriving from Boston. He had been unable to join me on the Amalfi Coast when I did my culinary arts internship in 2007. I was eager to show him the area, where I had lived and worked and to do some hiking, in particular the Sientiera degli Dei, or Path of the Gods, along the cliffs above Positano. 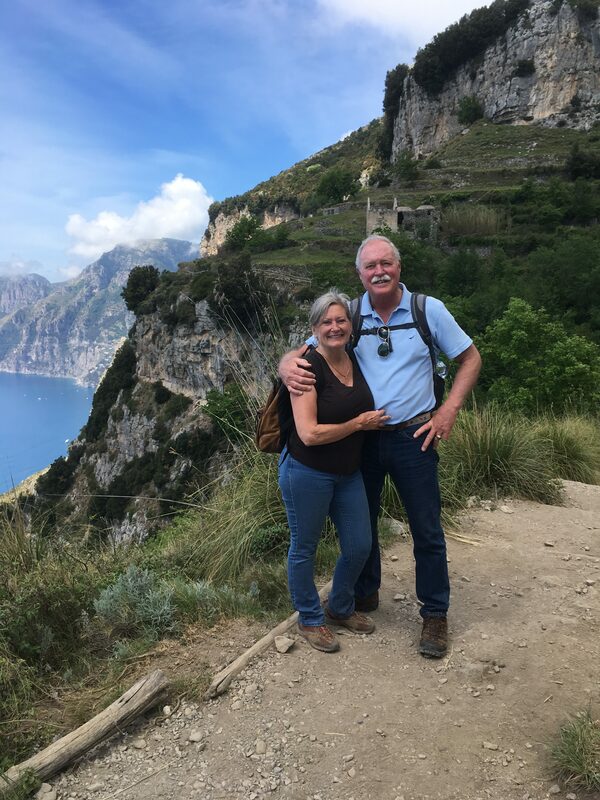 During our two-week stay in Positano (dubbed citta verticale because the city is virtually built on the side of a mountain) we hiked, took a cooking class and visited a buffalo farm where mozzarella is made. 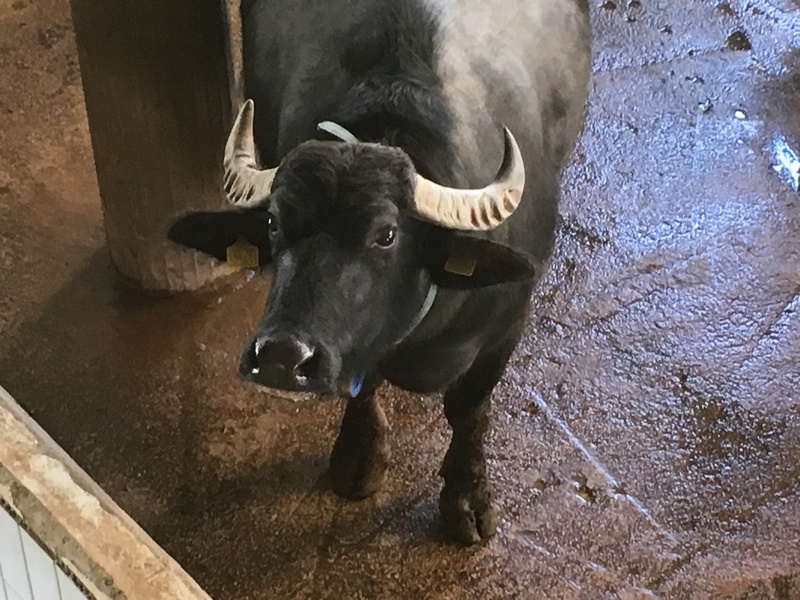 Bufala mozzarella is the best in the world and the buffaloes were treated like royalty! They had “showers” each morning, like the veggies in the supermarket are sprayed with water, got massages, listened to classical music, slept on rubber mats and got itchy backs scratched with large brushes like you’d see in a car wash.
Craig and I really enjoyed the cooking class, which was taught by the chefs at our hotel restaurant, Buca di Bacco (www.bucadibaco.it ). We made eggplant parmesan, gnocchi (potato dumplings) with fresh pesto, homemade tomato sauce, pizza, and an almond cake. Then we got to eat lunch and they provided wine and champagne. 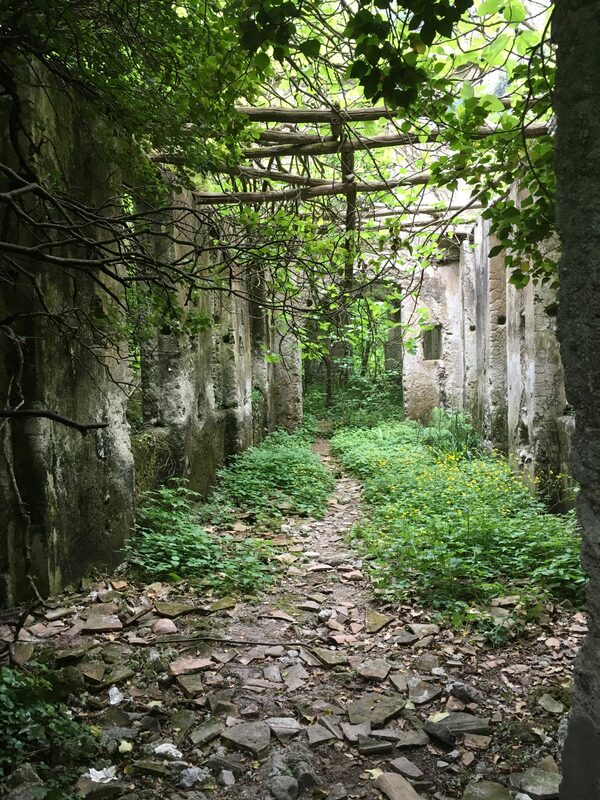 One of our hikes was up hundreds of steps to the top of Positano and another was through a valley where there were remains of paper mills. The city of Amalfi used to be world famous for its rag paper and it was the primary industry in the area. When all the paper mills closed, the area shifted to raising lemons. 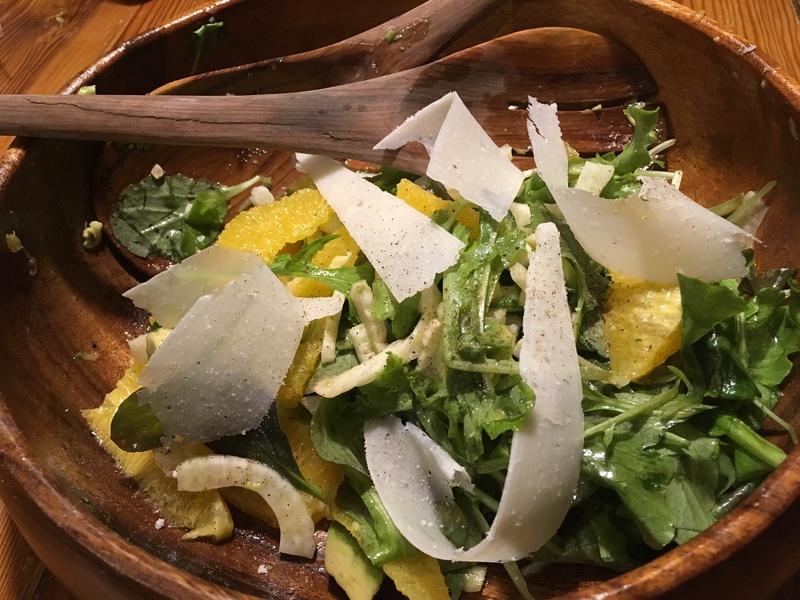 The Sfusato di Amalfi lemon is h-u-g-e – like a grapefruit and is more fragrant than the lemons we have in the US. Most of it is used to make a liqueur Limoncello, which is served ice cold. The last hike that we did was 7.8 miles along the ridge of the Lattari Mountains overlooking the Tyrrhenian Sea. The hike took us 6 hours and ended with 1700 steps down to the beach and back to our hotel.